All business owners will become involved in legal battles at some point. There is no getting away from the fact that you will have to pay experts for assistance. However, knowing the threats you face ahead of time could make the process easier. With that in mind, there are three common instances mentioned in this article. The chances are you will encounter them somewhere along the line. So, reading about them now and increasing your understanding will only benefit your success in the future. If you prepare for these situations in advice, you will find it much easier to weather the storm. You never know when an employee will do something wrong and you have to remove them from your business. Maybe they turned up late over and over again? Perhaps they did something that damaged your operation? Either way, you will have to get in touch with lawyers who focus on that niche. Court battles over employment disputes can take a long time and cost a lot of money. You still need to concentrate on running your company. So, you will need specialists in your corner fighting the battle on your behalf. Just make sure you read as many testimonials as possible before selecting the lawyer. You need to ensure you’re working with someone who has a good track record. The IRS can become a real pain if you make any honest mistakes when reporting your income. That can happen to people who don’t have much experience in the business world. An investigation could disrupt your operation and leave you unable to complete orders. Considering that, you’ll want the best legal assistance available. So, make sure you factor the cost of lawyer fees into your annual budget. Failure to do that could mean you don’t have enough cash to get the best representation. That could result in you getting the raw end of the deal and having to pay lots of fines. Nobody wants that to happen. If your company designs and sells original products, you must apply for patent protection. In theory, that should stop other businesses from copying your ideas. However, it doesn’t mean they won’t try somewhere along the line. When that happens, you need a lawyer who can take them to court and present your case. With a bit of luck, their assistance would mean the other brand has to cease and desist. You might even end up with monetary compensation from the guilty party. Still, that is never going to happen if you don’t have the right expert working in your corner. 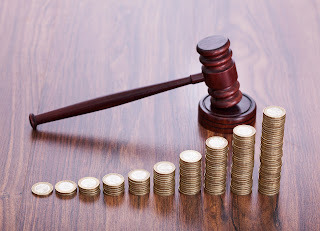 Now you know about the three most common reasons you might have to pay for legal assistance, you should find yourself in a better position to plan. At the end of the day, most law firms will offer payment plans if you don’t have enough cash in your accounts. Still, it’s better to have the money there and not use it. So, pay attention to the points made on this page before creating your budget for the next twelve months.